East-facing home near shopping, recreation & the college. 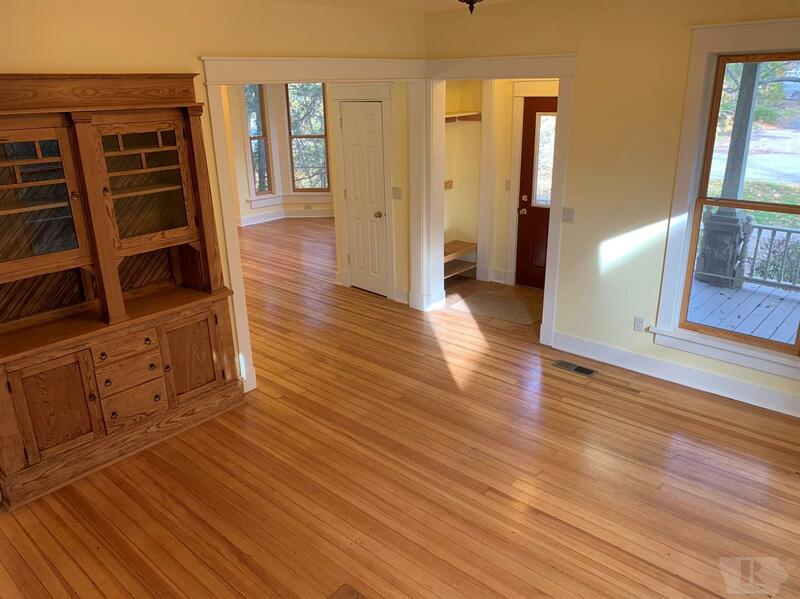 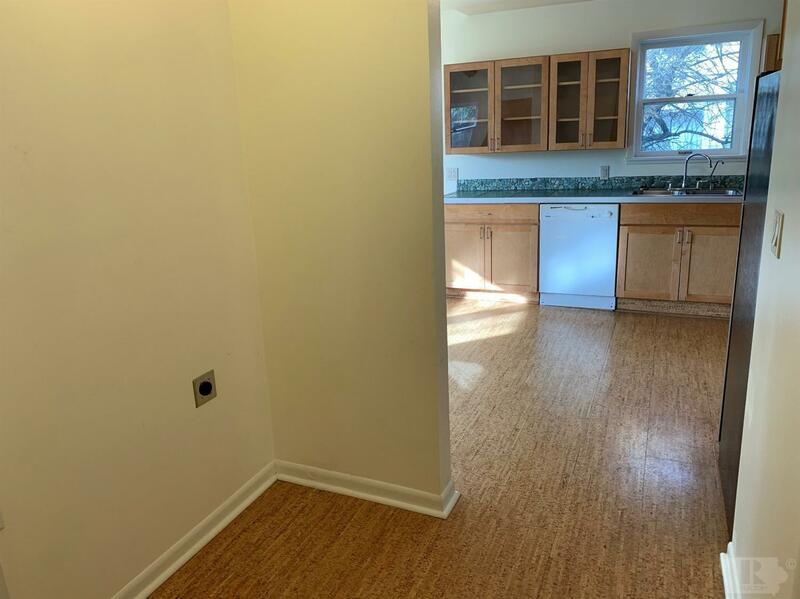 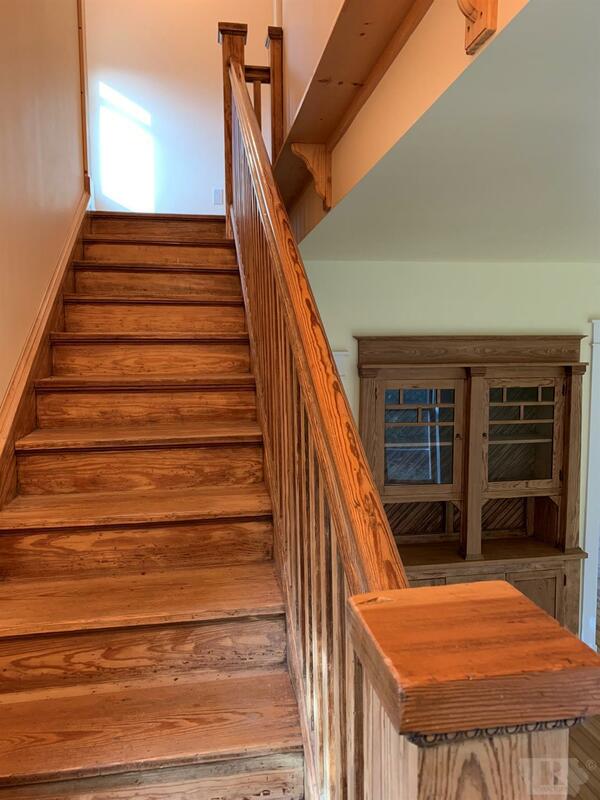 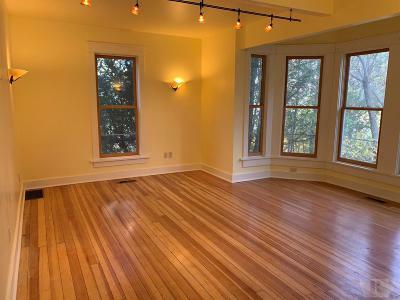 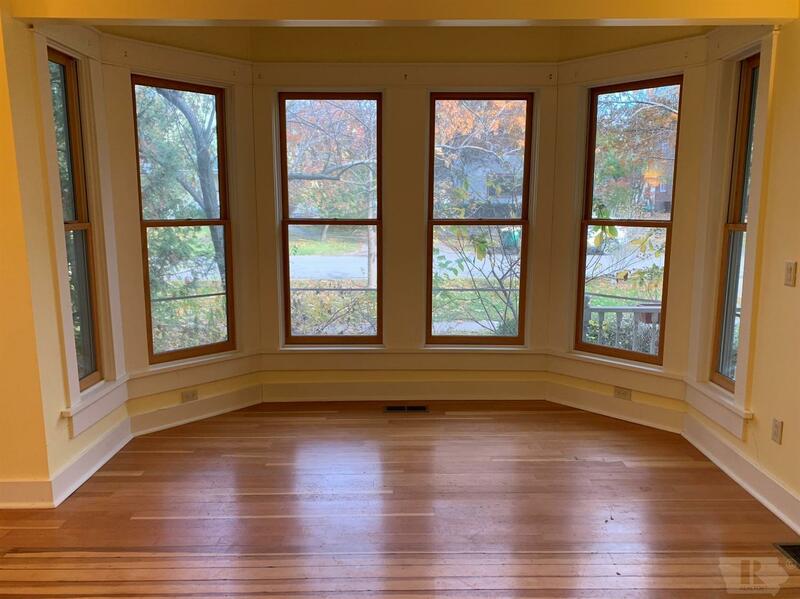 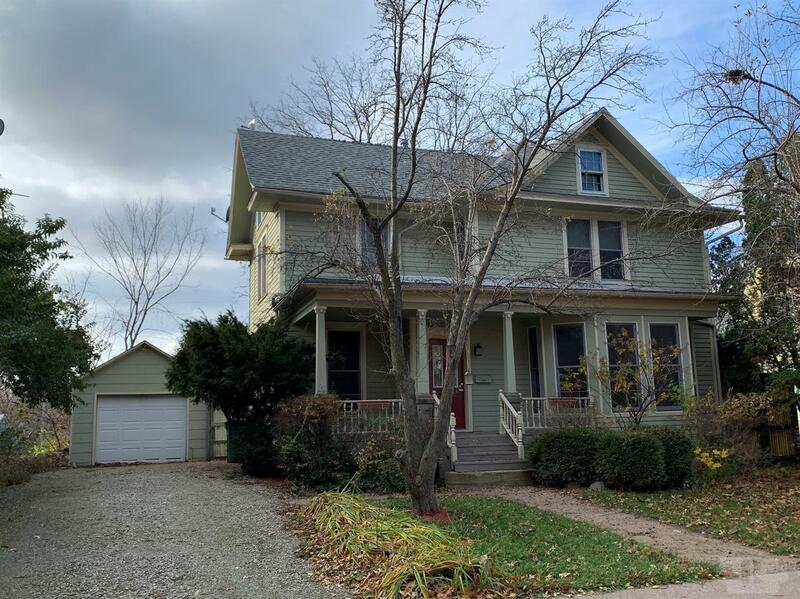 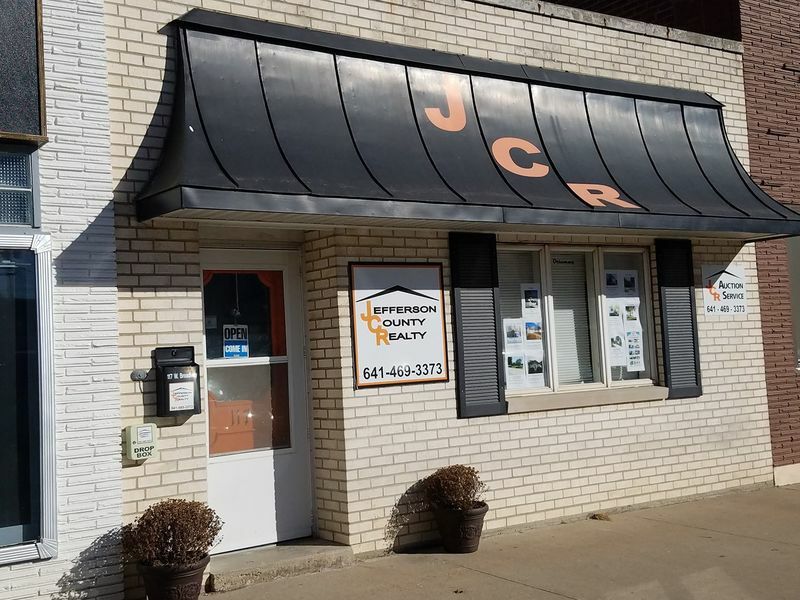 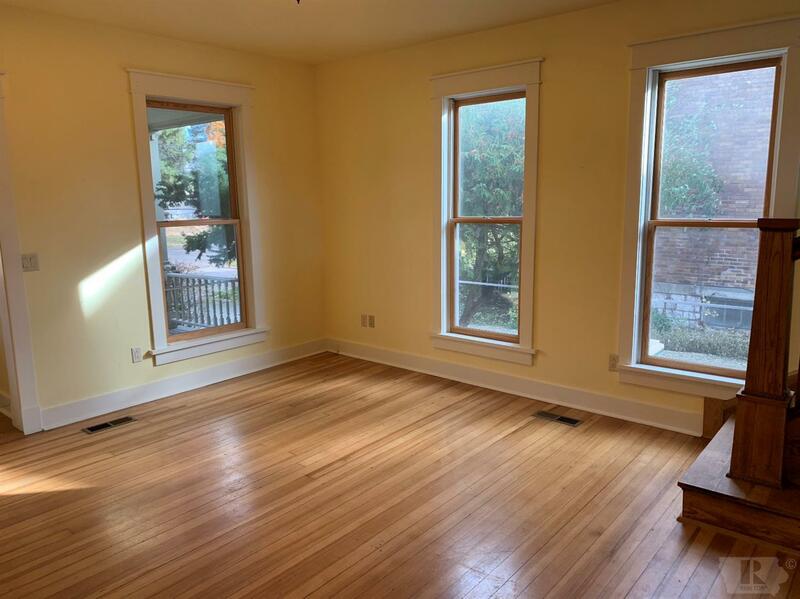 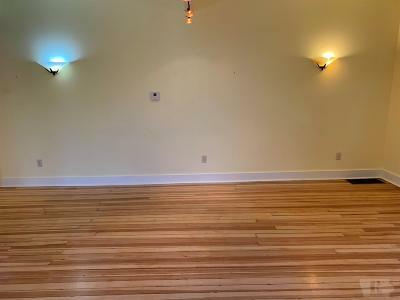 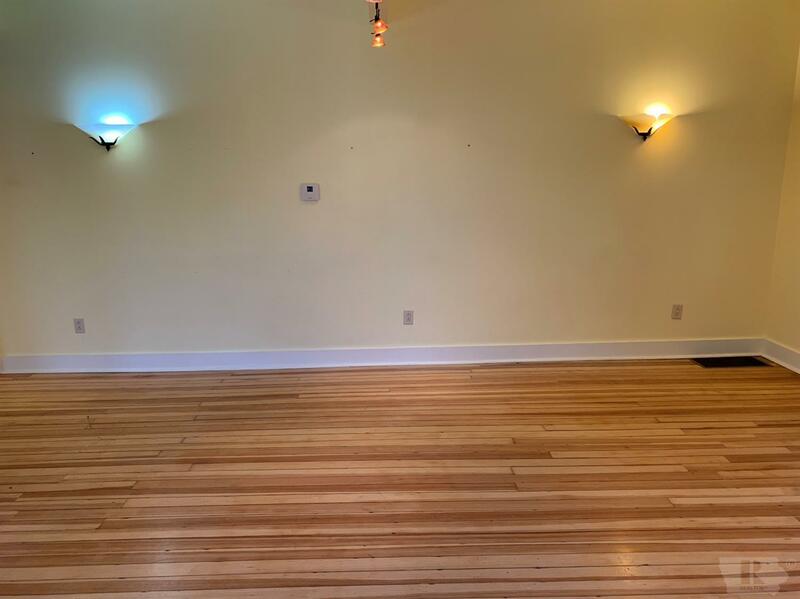 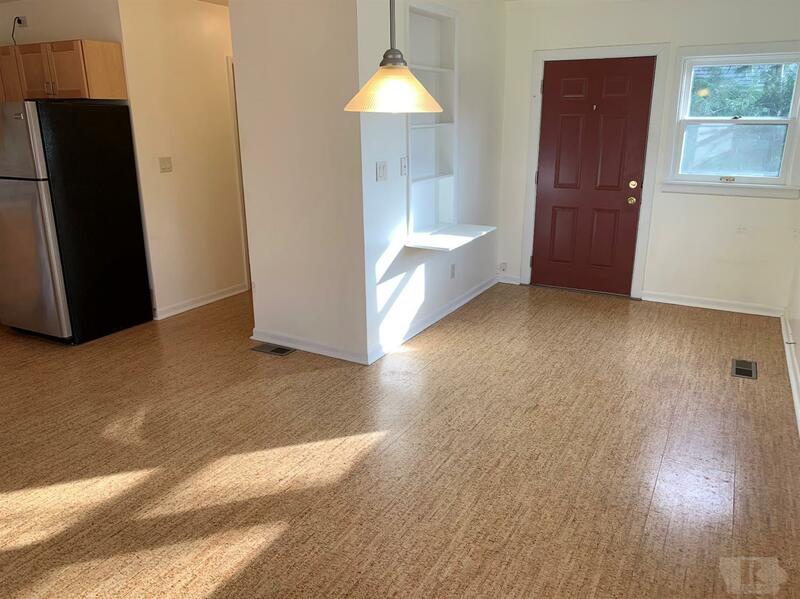 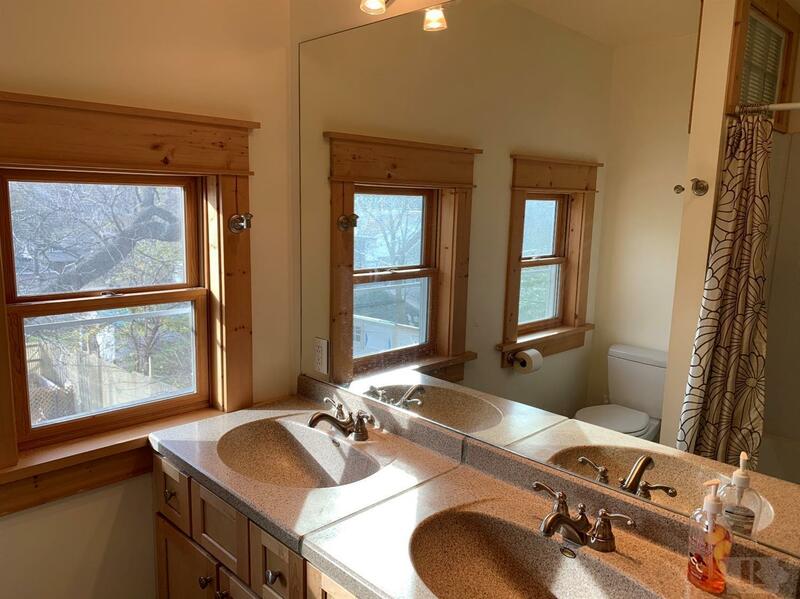 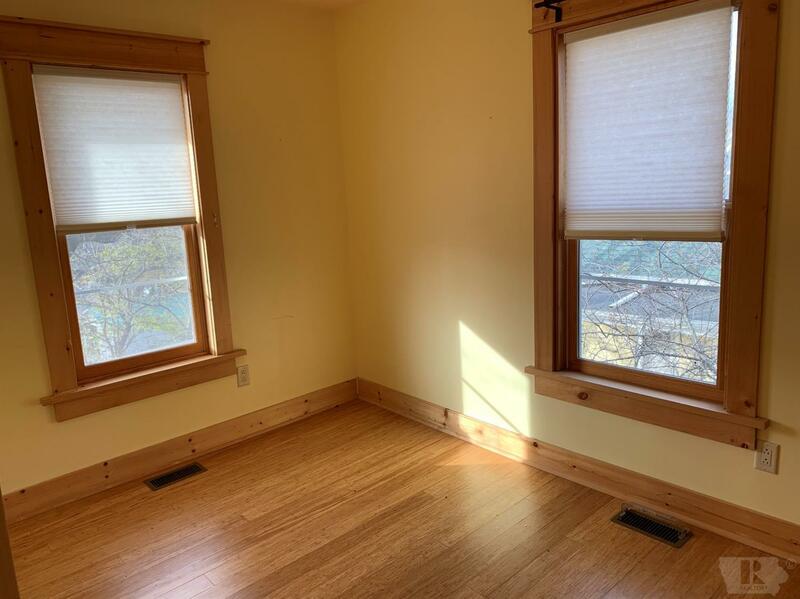 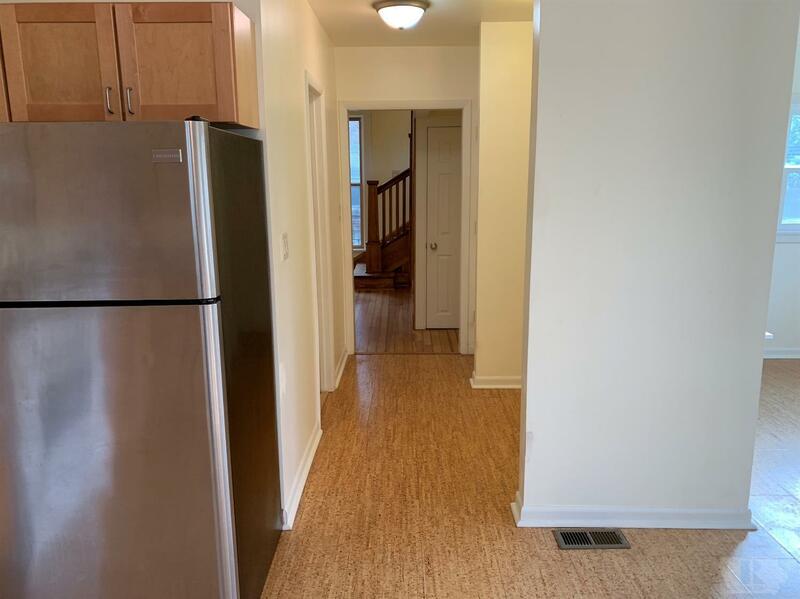 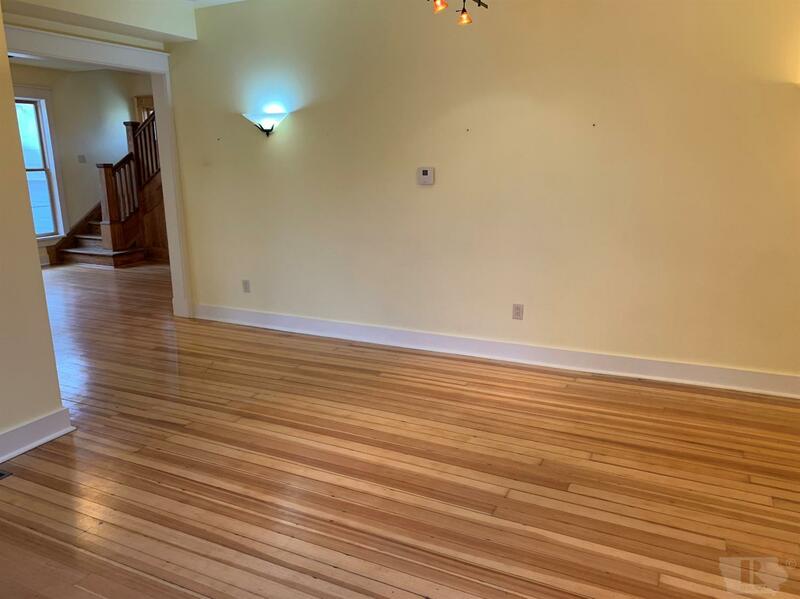 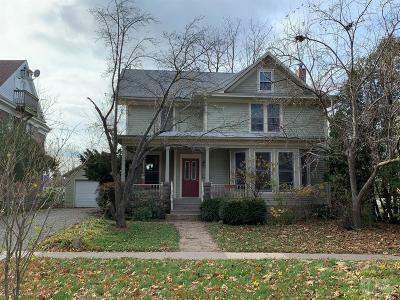 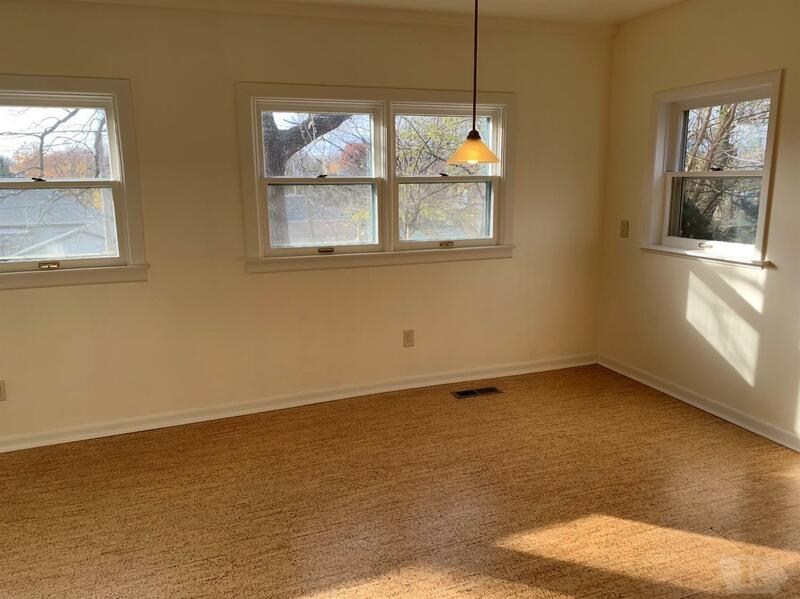 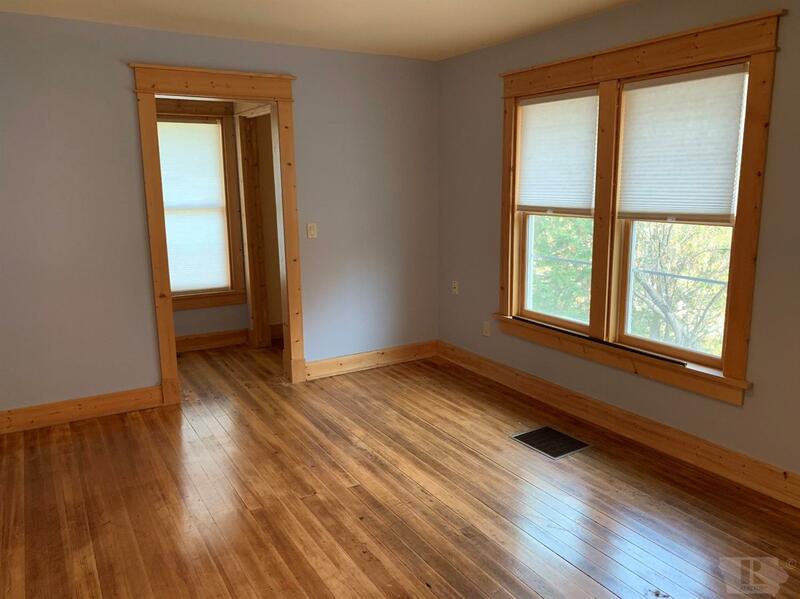 Within last 10 years renovations include refinished hardwood floors, windows, furnace & air including duct work, electrical, kitchen & baths, & sheetrock. 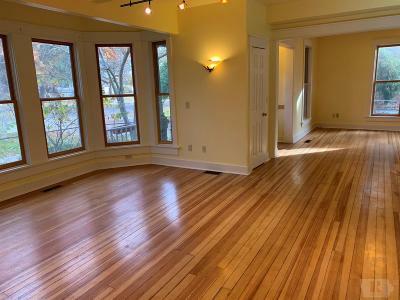 Large living room with bay window opens to the formal dining room which includes a built-in buffet. 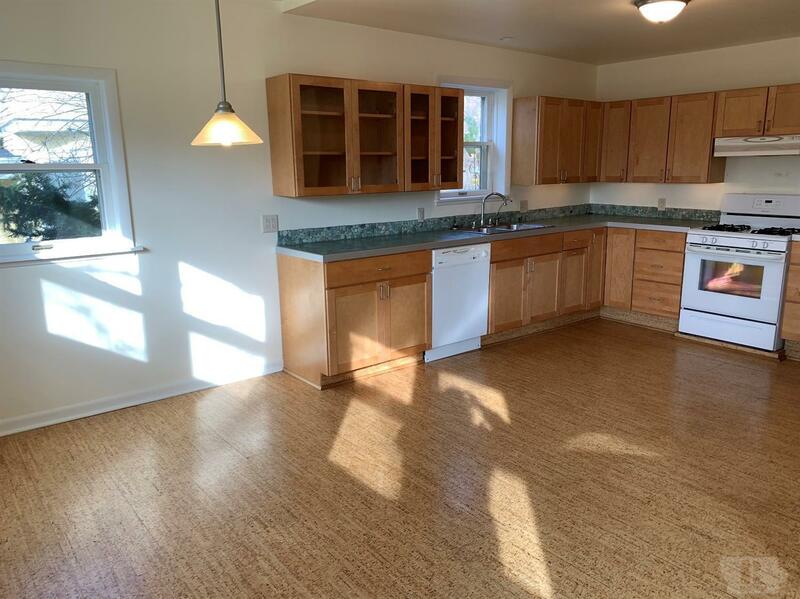 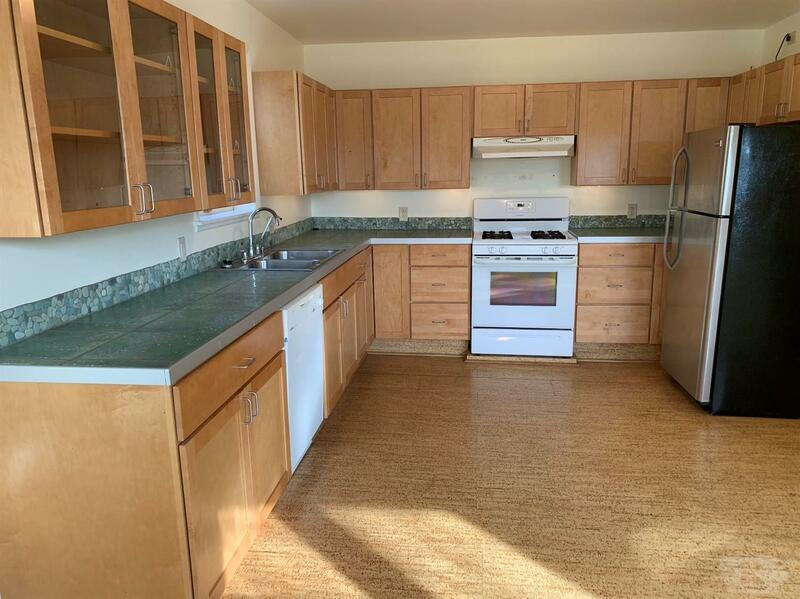 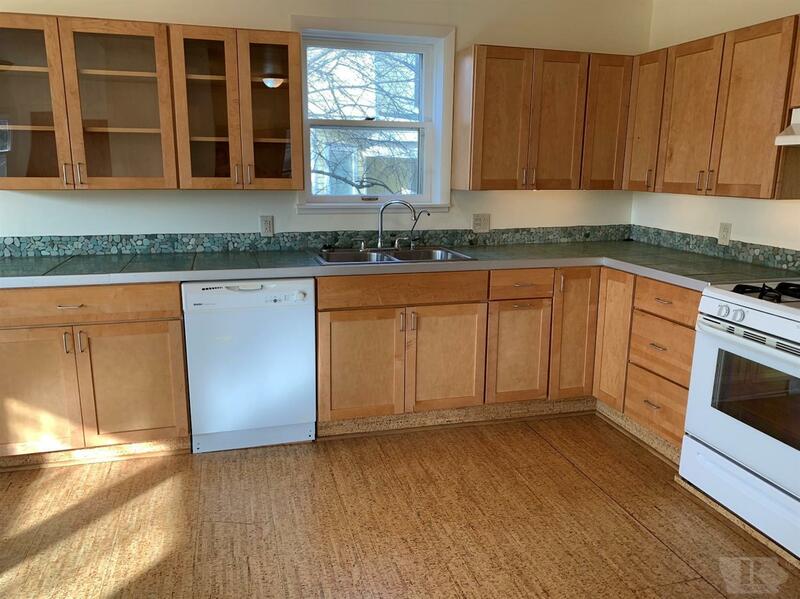 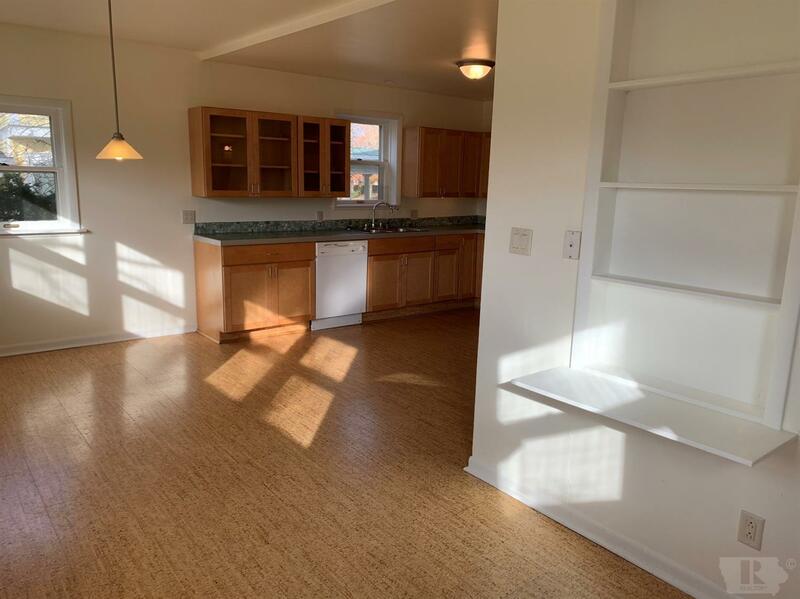 The newer kitchen with maple cabinets, ceramic tile counters, backsplash, & additional dining area with windows all around including access to the yard. 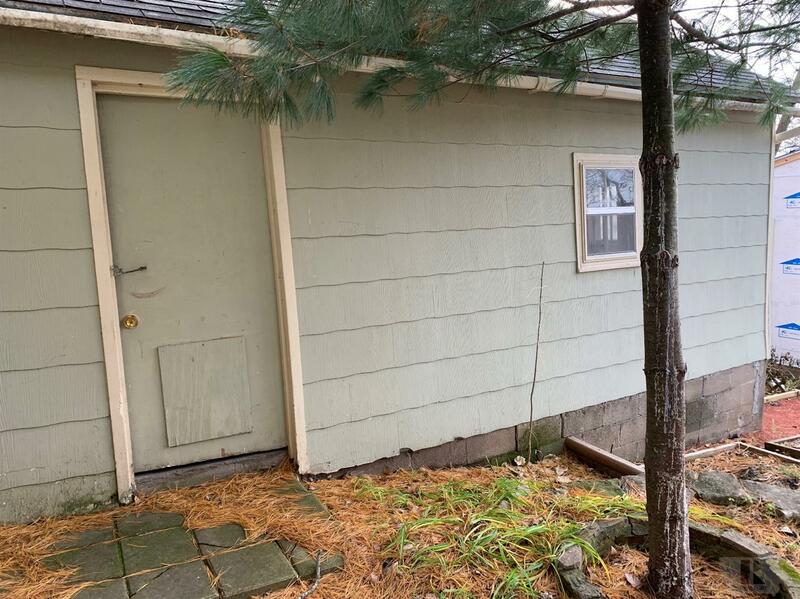 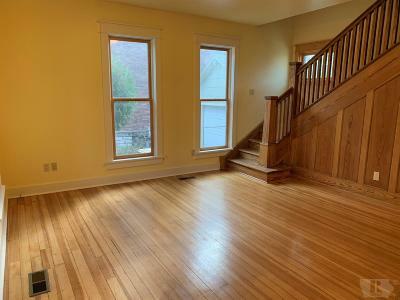 Quaint entryway area with coat closet. 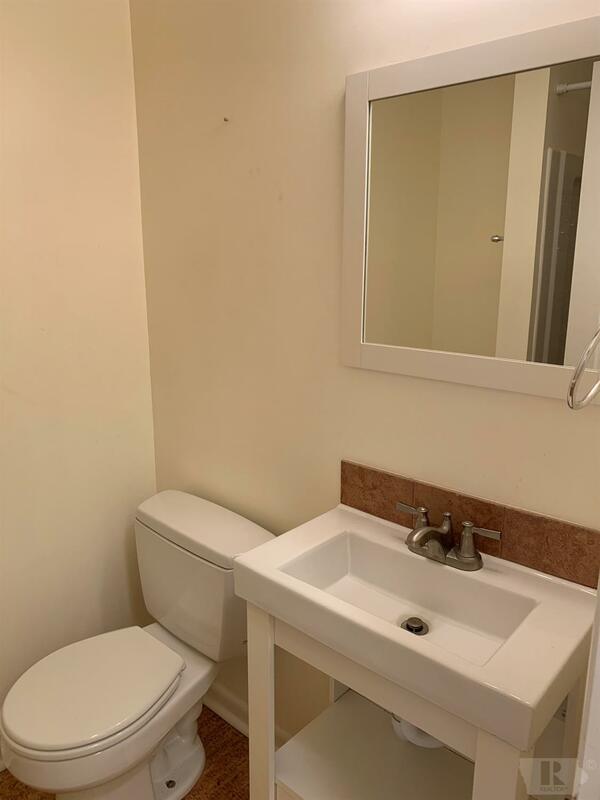 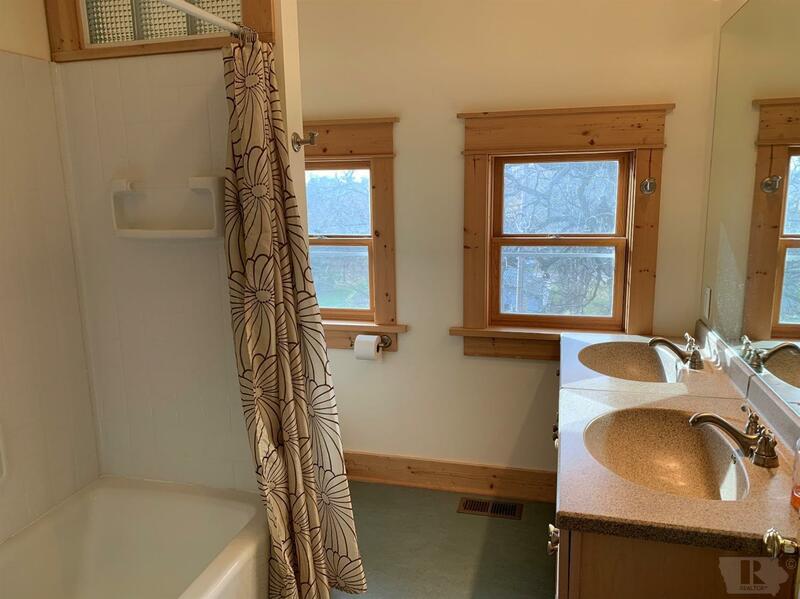 3/4 bath on main level. 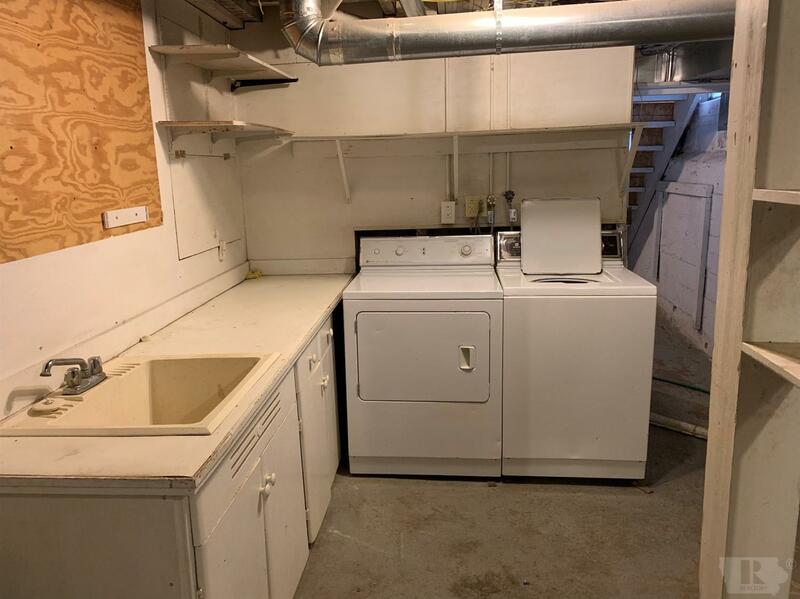 Area for potential main-level laundry. 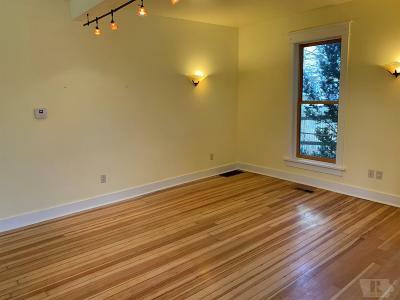 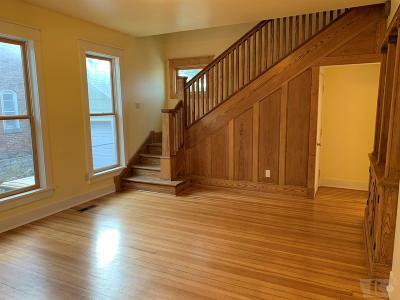 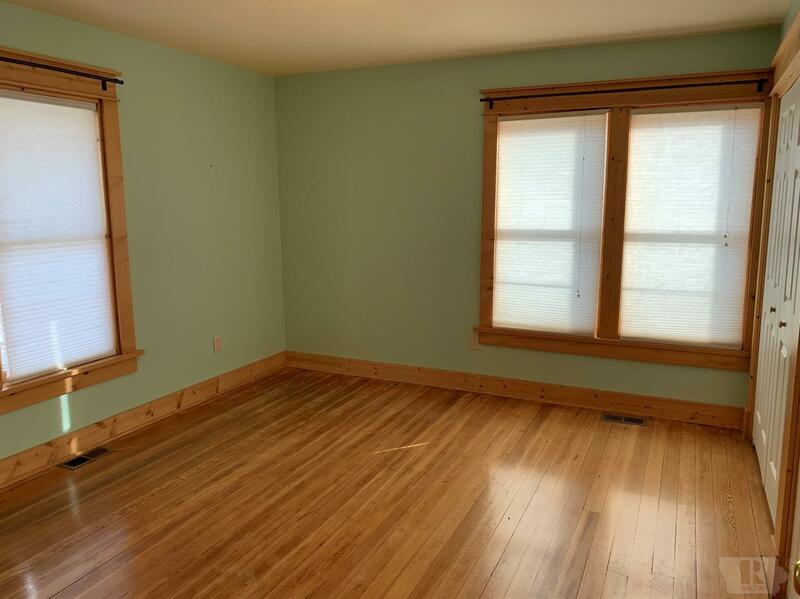 Upstairs features 3 bedrooms all with hardwood floors, closets as well as a hallway full bath. 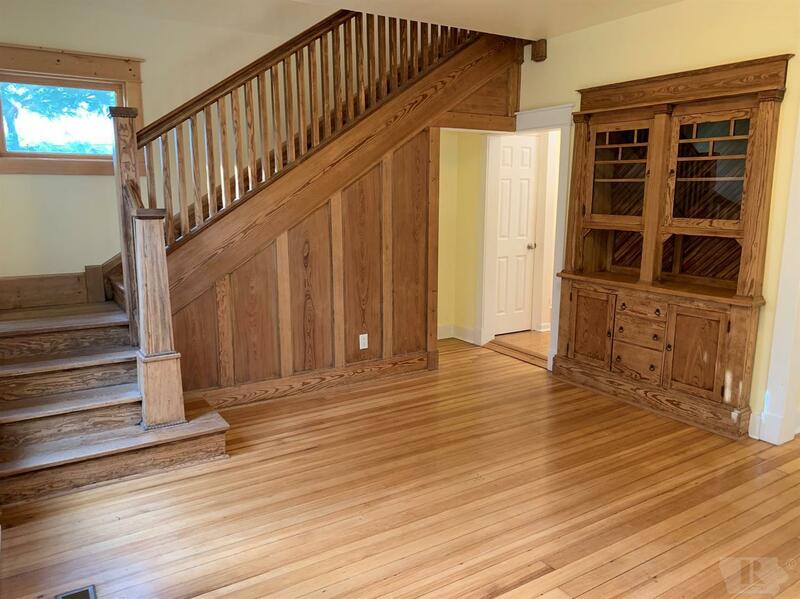 Beautiful staircase is an accent piece. 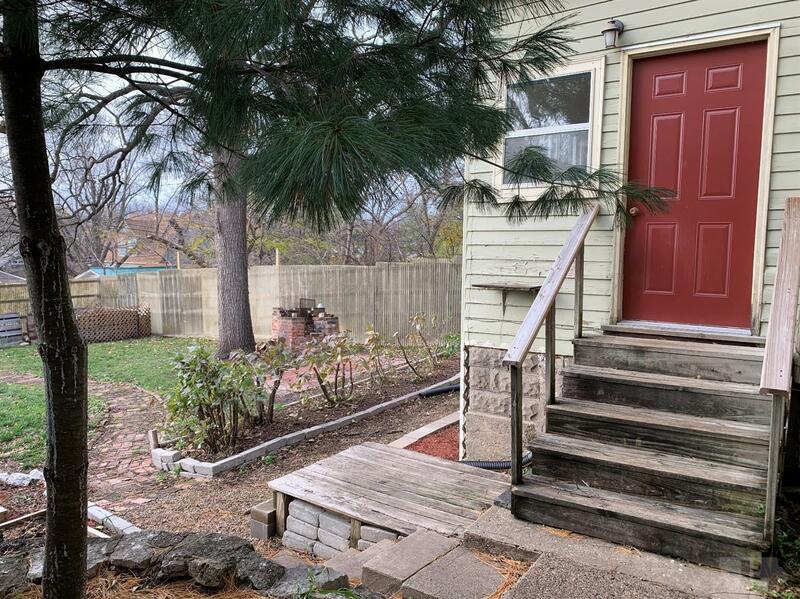 One-car detached garage, fenced-in yard, raised garden/flower beds, patio area and brick walking path. 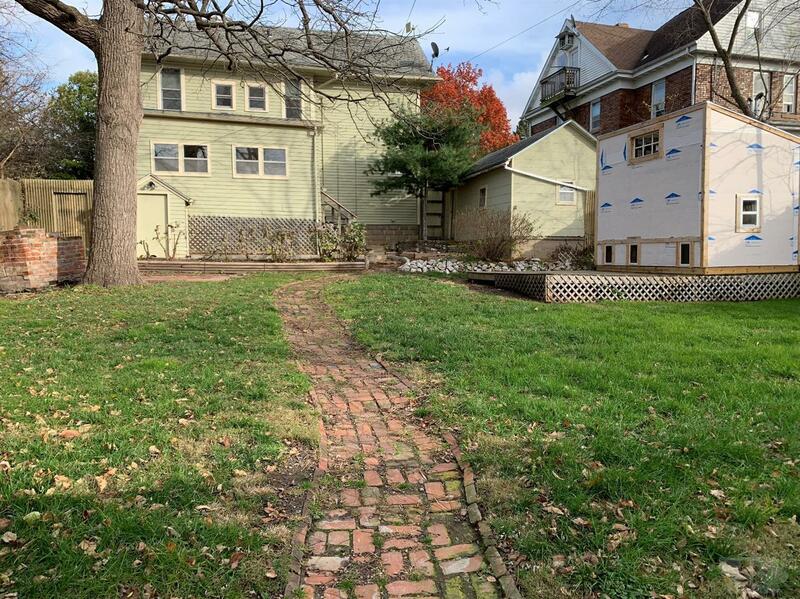 Additional parking.